Terms capitalized herein but not defined shall have the same meaning as given in the any of the other policies and notices contained in this Website. Nothing contained herein shall be construed to contradict or override anything contained in any of the otherPolicies or notices contained in this Website. In case there is a contradiction, the interpretation of Remitout shall be final and binding. Use of the Website constitutes a binding contract between you and Remitout under the Indian Contracts Act 1872. Accordingly, persons who are "incompetent to contract" within the meaning of the said Act, e.g. minors, un-discharged insolvents, etc., are not permitted to use the Website or transact on it. While Remitout allows you to browse the Website without registering as a “User”, transacting hereon shall require you to register. Wherever registration is requested, you agree to provide Remitout with true, accurate and complete registration information. It shall further be your responsibility to inform Remitout of any changes to that information. Either an individual or an organization can register as Users on the Website. However, each User is required to specify, while registering themselves, their registration type clearly and accurately in the specifically designated space on the registration page. Remitout does not permit a) any other person to use the registered sections under your / your organization’s name, or b) access through a single name being made available to multiple users on a network, or c) access of an individual being used by an organization or vice versa. You shall be responsible for preventing such unauthorized use and for maintaining the confidentiality of your user identification details and password. You shall also be responsible for all activities that occur under your user identification details and password. If you are registered as an individual, this Website shall be available to you for your personal and non-commercial use only. If you are registered as an organization, your usage of this Website shall be for limited commercial purposes, inasmuch as the functionalities made available to you through the Website. You will not modify, copy, distribute, transmit, display, perform, reproduce, publish, license, create derivative works from, transfer, or sell any information, software, products or services obtained from this Website. If you believe there has been any unauthorized use through your user identification details and password, you must notify us immediately by emailing us at support@remitout.com. Membership on the Website is free. Remitout does not charge any fee for browsing and buying on the Website. However, Remitout reserves the right to charge associated costs, insurance costs, taxes, etc. as may be applicable. Remitout may also revise its fees from time to time. Remitout may at its sole discretion introduce new services and modify some or all of the existing services offered on the Website. In such an event, Remitout reserves the right to introduce fees for the new services offered or amend/introduce fees for existing services. Revisions to the fees shall be posted on the Website and shall automatically become effective immediately after they are posted on the Website. Unless otherwise stated, all fees shall be quoted in Indian Rupees. Minimum order values might be applicable to your transactions. Rates are subject to major fluctuation. You may be required to pay a 'Merchant Service Fee' of 2% on f the transaction value and is subject to change as decided by the respective payment gateway service provider. Applicable taxes, including but not limited to Goods & Services Tax (GST), shall be borne by you. All payments made by you shall be routed directly to our associates/channel partners who are RBI authorized foreign exchange dealers/service providers and who will deliver your forex/travel cards. Payments can be made by you physically at your bank branch, through credit/debit cards, or through internet banking, using the secured payment gateway of the associate/channel partner or by NEFT / RTGS. Invoices shall be issued by the relevant associate/channel partner. You can make a partial payment to block the exchange rates and transfer the balance amount as per invoice through NEFT/RTGS. Please note that this transfer has to be done on the same day in order to get the transaction processed. Failure to do so will result in forfeiture of the partial payment amount. You can complete the entire process on the Website and make the payment physically through your bank branch. In this case, however, the rates shown at the time or during the transaction will not be blocked and may differ as for the rates prevalent at the time of transferring the funds will be considered. For order canceled on client's request or non-compliance, the amount will be refunded after a deduction of Payment Gateway Charges and exchange charges. In case of orders placed through Partial payment, the refunds will be paid after deducting of all charges including but not limited to the payment gateway, exchange loss, bank charges, etc. The Website is a platform through which Remitoutbrings together Users and various authorized forex dealers/service providers (the associates/channel partners of Remitout) to enable Users to send remittances abroad. 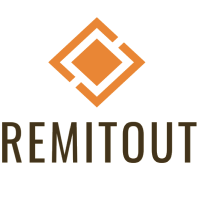 However, Remitout is not and cannot be a party to or control in any manner any transaction between you and the associates/channel partners of Remitout, nor any other Users of the Website. All commercial / contractual terms, including without limitation price, rates, associated costs/fees, payment methods, payment terms, date, period and mode of delivery, warranties/guarantees related to products and services, etc., are provided on each individual product/channel partner’s page. Pricing/rates of any product(s) as reflected on the Website may be erroneous due to some technical issue, typographical error or inadvertent publication of incorrect product information by Remitout. In such an event, Remitout may cancel such order(s) of yours. You release and indemnify Remitout and/or any of its officers and representatives from any cost, damage, liability or other consequence of any of the actions of the other Users of the Website and specifically waive any claims that you may have in this regard under any applicable law. Notwithstanding its reasonable efforts in this regard, Remitout cannot take responsibility nor control the information provided by other Users on the Website. You may find other Users’ information to be offensive, harmful, inconsistent, inaccurate or deceptive. Please use caution and practice safe trading when using the Website. You shall be solely responsible for complying with all applicable laws including those in India for making payments through Remitout. You agree and confirm that you shall be aware of all regulatory norms applicable to you as a user of foreign exchange services. The foreign exchange purchased through this Website should be used within a maximum of sixty (60) days of its purchase. In case it is not possible to use the foreign exchange within the period of sixty (60) days, the same should be surrendered to the authorized dealer from whom it was purchased. You further agree and undertake to provide such information /documents as may reasonably satisfy us about the transaction in terms of the RBI Limits for Foreign Exchange Purchases or sales, and you shall be solely responsible and liable for any incorrect information provided by you. Remitoutor any of the authorized dealers providing foreign exchange services through the Website shall not be responsible for any transaction executed through us by forged, false, inaccurate or unprofessed information. You will be solely responsible for such actions and liable to face all applicable regulatory actions. Complianceshall mean compliance with all applicable laws, including without limitation the Foreign Exchange Management Act, 1999, the Anti-Money Laundering Guidelines of the RBI(including rules made and notifications issued thereunder), the Exchange Control Manual as may be issued by Reserve Bank of India from time to time, the Information Technology Act, 2000, the Prevention of Money Laundering Act, 2002 and the rules made thereunder, the Foreign Contribution Regulation Act, 1976 and the rules made thereunder & the Income Tax Act, 1961 and the rules made thereunder. You understand that we have the right at all times to disclose any information (including the identity of the persons providing information on the Website) as necessary to satisfy any law, regulation or valid governmental request. This may include, without limitation, the disclosure of the information in connection with an investigation of alleged illegal activity or solicitation of illegal activity or in response to a lawful court order or subpoena. In addition, we can (and you hereby expressly authorize us to) disclose any information about you to law enforcement or other government officials, as we, in outsole discretion, believe necessary or appropriate in connection with the investigation and/or resolution of possible crimes, especially those that may involve personal injury. Uploading or transmitting any information, data, text, files, links, software, chat, communication or any other material that threatens the unity, integrity, defence, security or sovereignty of India, friendly relations with foreign states, or public order or causes incitement to the commission of any cognizable offence or prevents investigation of any offence or is insulting any other nation. Making any negative, denigrating or defamatory statement(s) or comment(s) about Remitout, or the brand name or domain name used by Remitout, including the terms Remitout, the Website www.remitout.com, or otherwise engaging in any conduct or action that might tarnish the image or reputation of Remitout or otherwise tarnish or dilute any trade or service marks, trade name and/or goodwill associated with such trade or service marks, trade name as may be owned or used by Remitout. Engaging in any other behavior deemed unacceptable by Remitout in its sole discretion, on the Website. When you use the Website or send emails or other data, information or communication to Remitout, you agree and understand that you are communicating with us through electronic records and you consent to receive communications via electronic records from us / our associates/channel partners periodically and as and when required. We may communicate with you by email or by such other mode of communication, electronic or otherwise, as may appear on our records. This Website may contain advertising and sponsorship. Advertisers and sponsors are responsible for ensuring that material submitted for inclusion on the Website is accurate and complies with applicable laws. Remitout does not check the accuracy of such materials provided, and shall not be responsible for the illegality of or any error or inaccuracy in the advertisers' or sponsors’ materials. Your correspondence or business dealings with, or participation in promotions of, advertisers found on or through the Website, including payment and delivery of related products or services, and any other terms, conditions, warranties or representations associated with such dealings, are solely between you and such advertiser. Remitoutshall is not responsible or liable for any loss or damage of any sort incurred as the result of any such dealings or as the result of the presence of such advertisers on the Website. The information, software, products and services included on this Web site may include inaccuracies or typographical errors and Remitout will be entitled to rectify such inaccuracies or typographical errors. Remitout will not be liable/responsible for any decision that you may take based on such inaccurate information. Changes are periodically added to the information on the Website. Remitout is fully entitled to make improvements and/or changes in this Website at any time. Advice received via this Website should not be relied upon for personal, medical, legal or financial decisions and you should consult an appropriate professional for specific advice tailored to your situation. Remitout and/or its respective suppliers make no representations about the suitability, reliability, timeliness, and accuracy of the information, software, products, services, or any other items and related graphics contained on this Website for any purpose whatsoever. All such information, software, products, services, and related graphics are provided "as is" without warranty of any kind. Remitout and/or its respective suppliers hereby disclaim all warranties and conditions with regard to this information, software, products, services and related graphics, including all implied warranties and conditions of merchantability, fitness for a particular purpose, title and non-infringement. Please ensure that all information given by you while booking is correct. For security reasons and to be able to advise you of any developments affecting your travel we need to be able to contact you by telephone and email and to have your correct address on record. If any or all of these contact details are not correctly given by you, we reserve the right to cancel the transaction at your risk and cost. The right to access and transact on the Website is reserved as is the right to use any particular credit card on the site for payment purposes. It is expressly agreed to and acknowledged by you that any dispute arising out of your use of the Website between you and Remitout shall be resolved through a three-step Alternate Dispute Resolution (“ADR”) mechanism. a) Mutual Discussion: The parties will attempt to resolve the same amicably amongst themselves, to the mutual satisfaction of both parties. In the event that the parties are unable to reach such an amicable solution within thirty (30) days of one party communicating the existence of a dispute to the other party, the dispute will be resolved by mediation, as detailed hereinbelow. b) Mediation: In the event the parties are unable to amicably resolve the dispute by mutual discussion, said dispute will be referred to mediation to an impartial third person (the ‘Mediator’), to be appointed by Remitout. The said Mediator shall attempt to establish a dialogue between the parties, and mediate the dispute to the satisfaction of both parties. In the event the parties are unable to reach such a mutually acceptable solution even through mediation, then after thirty (30) days of the commencement of the mediation, the dispute shall be referred to arbitration, as detailed hereinbelow. c) Arbitration: If the parties are unable to amicably resolve a dispute by mediation, said dispute will be referred to arbitration by a sole arbitrator, to be appointed by Remitout, and the award passed by such sole arbitrator will be valid and binding on both parties. The parties shall bear their own costs for the proceedings. The arbitration shall be conducted in English, and the seat of arbitration shall be the city of Mumbai in the state of Maharashtra, India. It is hereby agreed and acknowledged by both you and Remitout that no proceedings shall be instituted in any court of law by either party before the above three steps of ADR have been exhausted but no mutually acceptable solution has been reached.